The Boisterious Beast! Tigra the Were-Woman! The Sensational She-Hulk! And, of course, the Amazing Spider-Man! Avengers recruitment drives brought in all of them, and it's a day unlike any other when those tales are teamed together for the first time! Plus: a member who comes back from the dead to rejoin and a literal trial by fire when two of Marvel's most enduring characters - and one of mythdom's most heralded heroes - join the team during the Inferno crisis! Also featuring the team's first gathering and its first lineup revision into Cap's Kooky Quartet! Guest-starring X-Men, Guardians of the Galaxy and more! 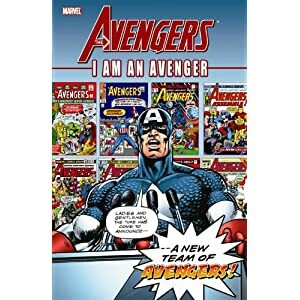 Collects Avengers (1963) #1, #16, #137, #151, #181, #211, #221, #300 and #329.